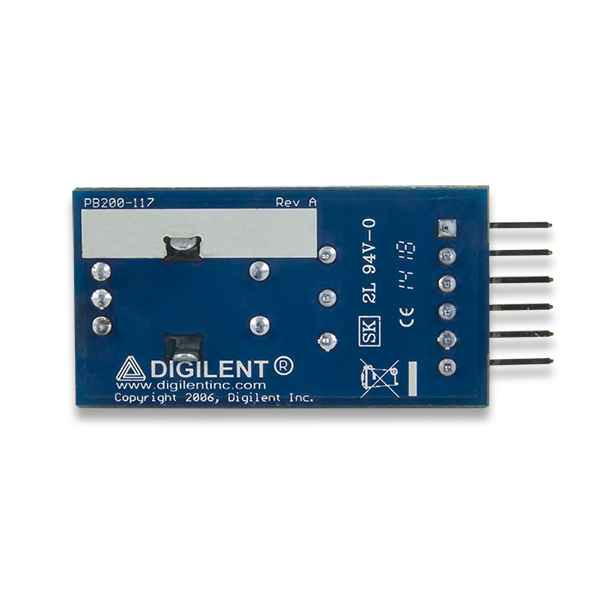 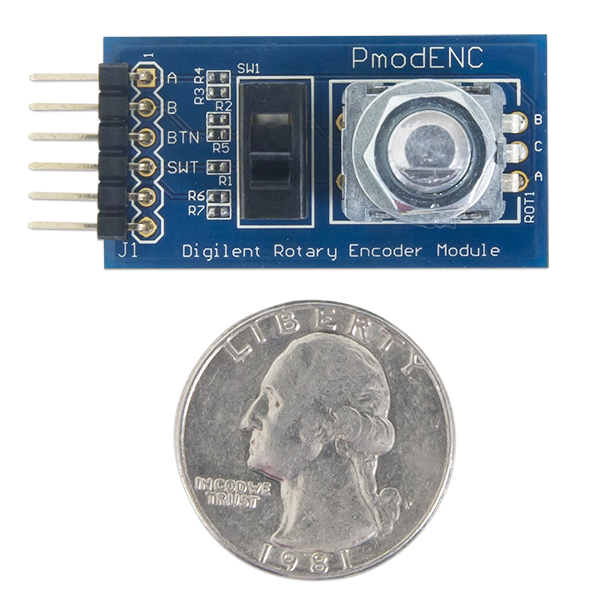 The Digilent Pmod ENC (Revision A) features a rotary shaft encoder with an integral push-button to provide multiple types of outputs. 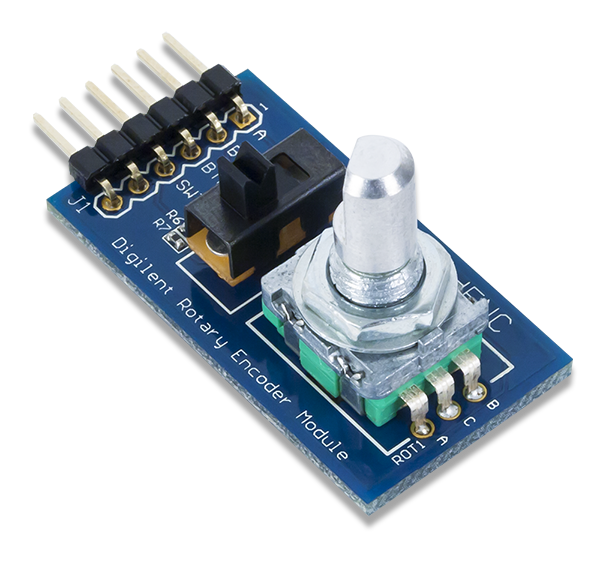 The module also includes a sliding switch that is commonly used as an on/off output. 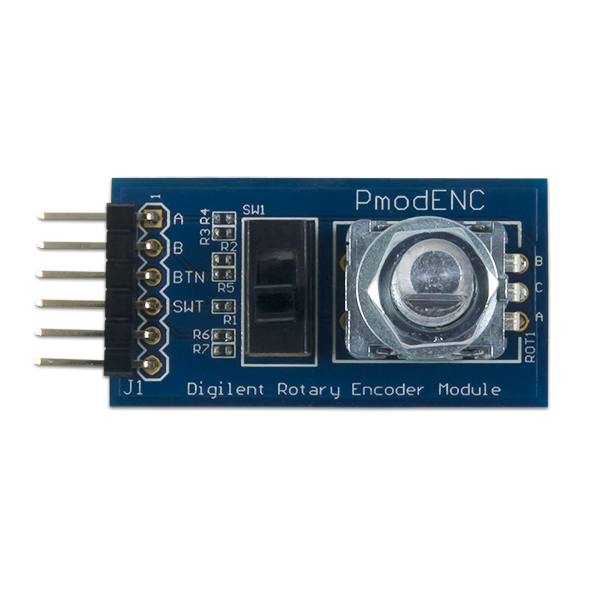 An encoder is commonly used in freely rotating volume knobs to detect how many “clicks” a knob has been rotated.